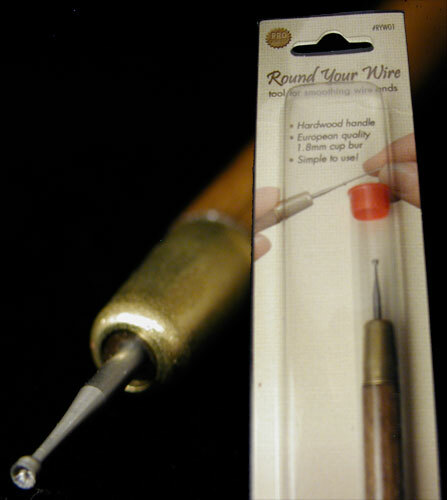 This is the ingenious little tool that will smooth and de-burr the ends of your wire when you turn your own earwires or hoops. No more scratched raw ears for us! A tool you can not live without if you make things with wire.